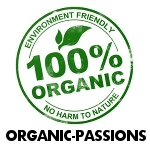 newby to organics Have been mostly organic since Feb 4,2013. Its made a real difference in my health.Still learning all about each food and how to prepare, and whats what. Grass fed animals, pastured eggs, organic produce, wild caught fish.